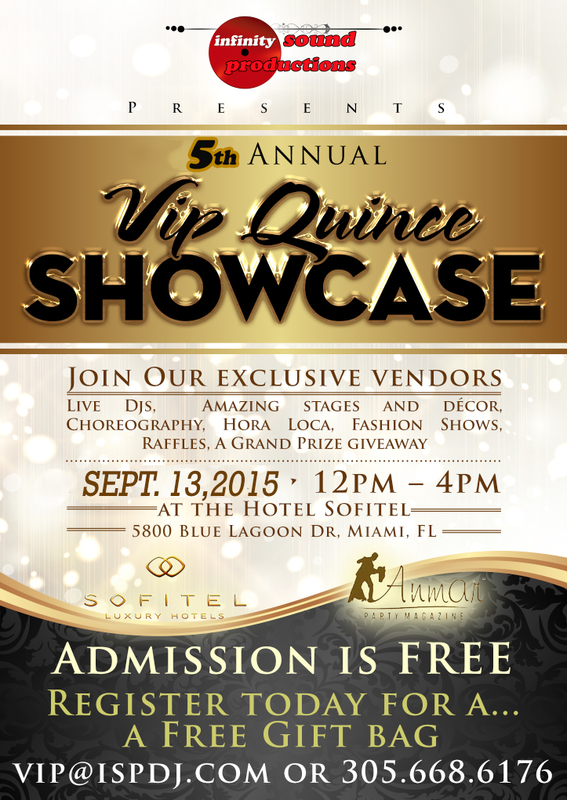 The Hotel Sofitel on Sept 13,2015 from 12pm – 4pm. We will be showcasing stages for Sweet Sixteen and Quinces. Clients always ask, to see us in action. This your chance to see us showcasing our Mc Skills, Mixing abilities, Djing, Decor- Staging , and Photo booth in action. Infinity Sound Productions (ISP), & The Hotel Sofitel in Miami Presents! South Florida with the best vendors of the Celebration Industry for years.